Looking for some Adventure holidays or natural wonders of India? Here we are with amazing geological formations in India you absolutely must visit for an adventure holiday. Read on to know about 10 geographical wonders of India to spend some time with these natural creations. If you love to travel and to explore some under-explored regions than these natural wonders of India can be a perfect destination for you. In India, we can find lots of natural wonders that should be maintained properly and promotes as a tourist attraction so that lots more can know about these Geological Wonders. Here we are with 10 Geological Wonders of India for nature lovers. Rama Setu is the remains of an ancient 50 km long bridge made up of limestone floats in water, which is one of the best natural wonders of India. It is built by Lord Rama and his Vanara Sena to reach Lanka to rescues his wife Sita from the demon king Ravana. It broke in a cyclone in AD 1480 but still be seen between India and Sri Lanka from Rameshwaram. 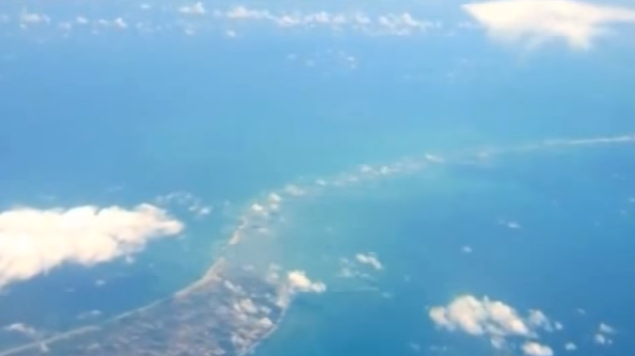 NASA satellite images show clear pictures of a broken bridge under the ocean floor. It is one of the extremely sacred structures to Hindus. 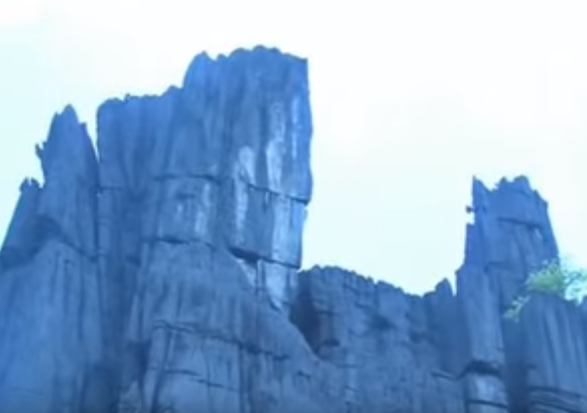 Pillar rocks are another incredible natural wonders of India, which is a set of three giant granite rock pillars of 122 metres (400 ft) high just 7 km from Kodai Lake. This property is managed by Tamil Nadu Forest Department. There is a cave between two pillars called Guna cave or Devil's Kitchen attracts lots of tourists. Nearby mini garden full of beautiful flowering plants is the popular picnic spot among tourists as well as locals to spend some relaxing and rejuvenating time with their loved ones. 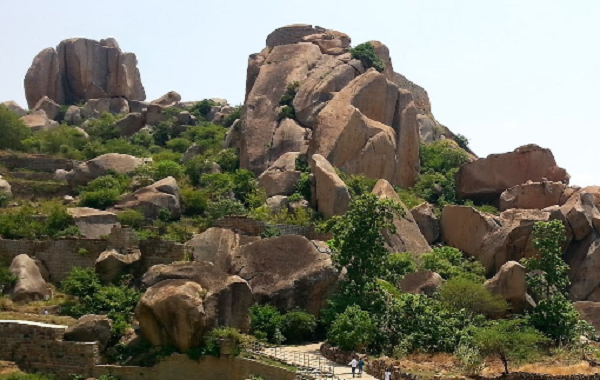 Pillow Lava Stones are nearly 2,600 million years old stone structure in Maradihalli a tiny village about 20 km from Chitradurga is lesser known among common people but very popular among geologists of the country. It is one of the best-preserved stone structure in the world and one of the top natural wonders of India. Pillow Lava rock was the result of sudden chilling of molten magma that takes the shape of a round pillow when the red-hot lava comes into contact with cold water. 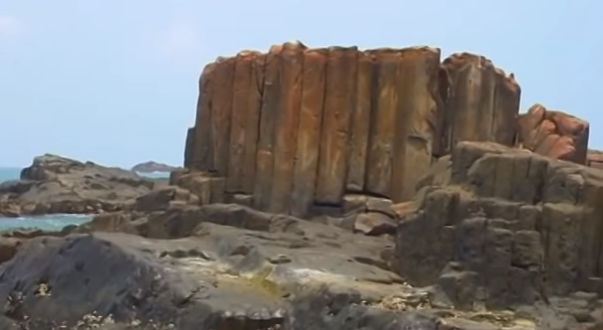 It was an ideal place for geologists to learn more about the formation of this rare rock. The government declared the entire hill as National Geographic Monument in 1976. Many geology students and tourists from various parts of India and neighboring countries visit the place to study the rock formation and to see the amazing geological wonder. St. Mary's Islands also known as Coconut Island is a set of four small islands in the Arabian Sea off the coast of Malpe in Udupi, Karnataka. They are popular for their distinctive geological formation of columnar basaltic lava structures. These islands are perfect for a day trip, lush blue waters, sandy beaches and exotic looking rocks all makes the place a prime attraction tourists as well as locals. One can hire a ferry from Malpe beach to reach the location. The basalt on this island has formed by volcanic activity, a completely rare occurrence. Natural Arch is one of the natural wonders of India located 1km north of the Tirumala hills temple, near the Chakra Teertham in Andhra Pradesh, India. It is famous by the name of Silathoranam among locals. The arch measures 8m in width and 3m in height naturally formed to erosive forces. The arch is one of the few natural arches in Asia. There is a well-maintained garden in front of the arch where visitors can rest. Sunrise and Sunset are the good time to visit, as the arch looks even more magnificent in the light of the rising and setting sun. Seen in the light of a full moon the arch is said to be "ethereally beautiful. 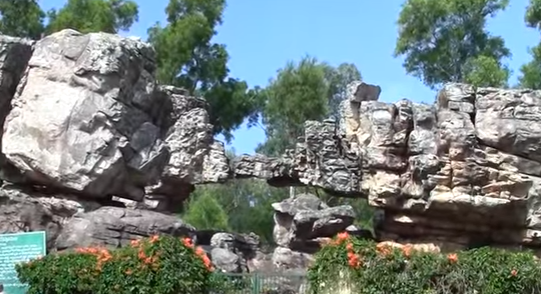 Geologists found this rare geological formation of the rock arch which has two dissimilar sets of rocks with a connecting thin link in the 1980s, during excavations for a geological fault in the Tirumala hills. 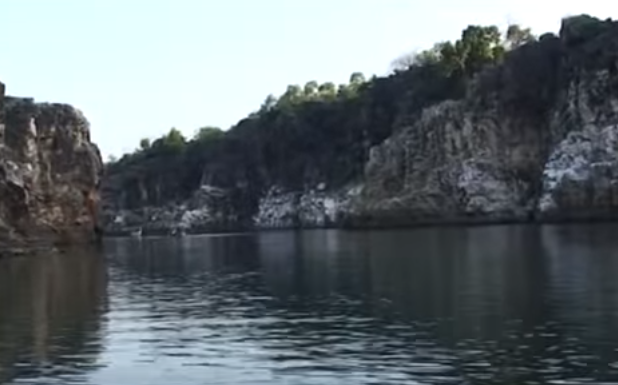 Bhedaghat is a small town in Jabalpur district in the state of Madhya Pradesh, India located just 20 km from Jabalpur city on the banks of river Narmada. Bhedaghat is a most beautiful natural wonders of India, and famous for its 100 feet tall mountains of marble stand mightily on banks of Narmada River. These marble mountains look magnificent under the moonlight. To see these beautiful structures one can sail in the boat or enjoy the top-view of this beautiful gorge through a cable-car. Dhuandhar Falls and Chausath Yogini temple are also among the major attractions of Bhedaghat. The unmatched beauty of these marble rocks served as the canvas for many Bollywood films. 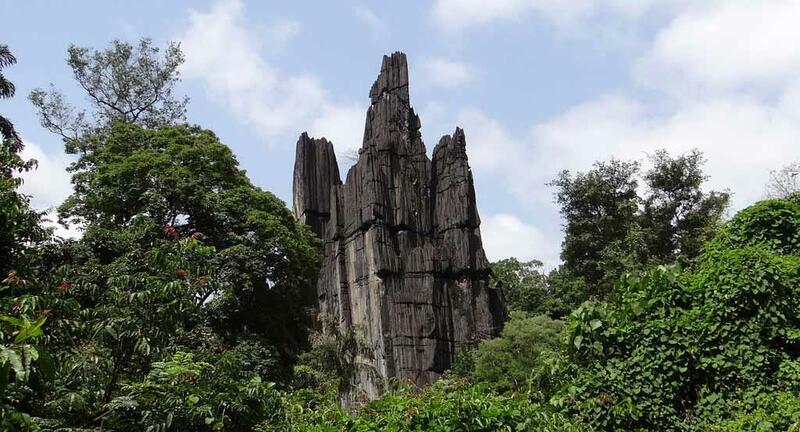 Yana is a famous geographical wonders of India, which is a small village located in forests of the Uttar Kannada district of Karnataka best known for the unusual rock formations popular by the names of Yana rocks. Yana rocks are located in the Sahyadri mountain range of the Western Ghats is a group of two massive rocks known as the Bhairaveshwara hill (120 metres) and the Mohini hill (90 metres) surrounded by thick forests and streams. Both the rocks composed of solid black, crystalline Karst limestone. There is a cave temple below the Bhairaveshwara Shikhara where a Swayambhu linga has been formed. An annual car festival is also held here during the Shivaratri. Lonar Crater Lake is a saline soda lake created by a meteor impact is located at Lonar in Buldhana district, Maharashtra, which is one of the incredible natural wonders of India It is the only known hypervelocity impact crater in basaltic rock anywhere on the earth. 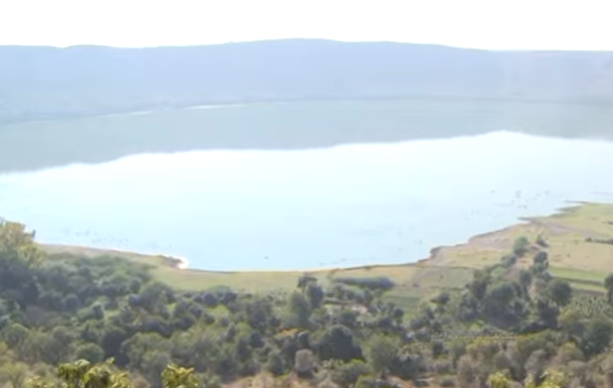 The water of this lake is both saline and alkaline in nature. It is the world's oldest and largest crater in India created about 52,000 years ago. It supports many micro-organisms which are rarely found elsewhere on Earth. The lake is surrounded by jungle spread with Teak trees and many other different species of trees. Winter (November to January) is the ideal time to visit Lonar Lake as the climate is pleasurable. Living root bridges is one of the most popular natural wonders of India and famous tourist destination situated at Cherrapunji in the southern part of the Northeast Indian state of Meghalaya. 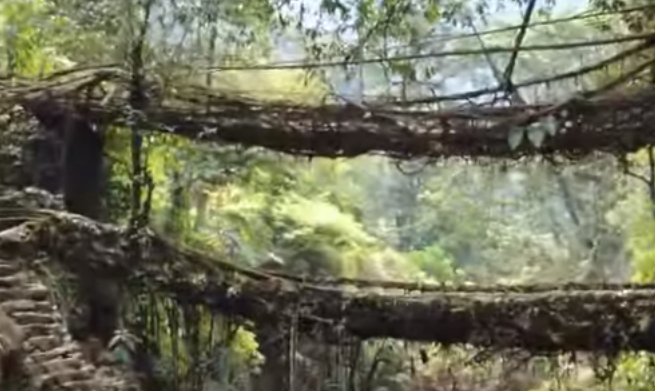 These bridges are handmade from the aerial roots of living banyan fig trees by the Khasi and War Jaintia people. Double-decker and single-decker root bridges are very popular among the tourists and are a sight to behold. The bridges are alive and still growing and gain strength over time. These bridges can support the weight of fifty or more people at a time. The trek from Cherrapunji to the living Root bridges requires a lot of stamina and courage to see these natural wonders of nature. The Borra Caves is one of the natural wonders of India, which is located on the East Coast of India in the Araku Valley of the Visakhapatnam district in Andhra Pradesh. 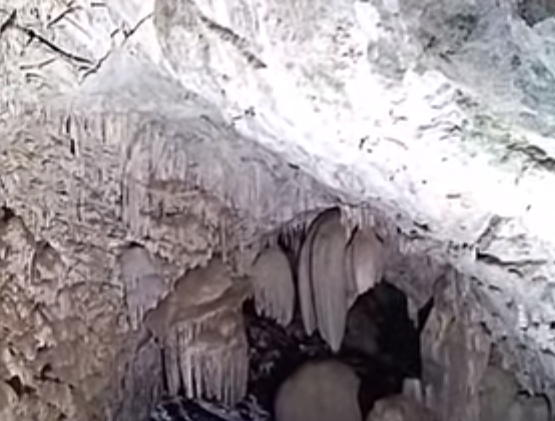 These are one of the largest natural caves in the country situated at a height of about 800 m (2,624.7 ft.) to 1,300 m (4,265.1 ft.) at Ananthagiri hills range drained by the Gosthani River. One can find amazing Stalagmite and Stalactite formations in the caves made naturally believed to be 150 million years old. You may find here crystal white calcium stones in various forms. The total length of the Borra Caves is about 200 meters. William King, the British geologist discovered the cave in 1807. 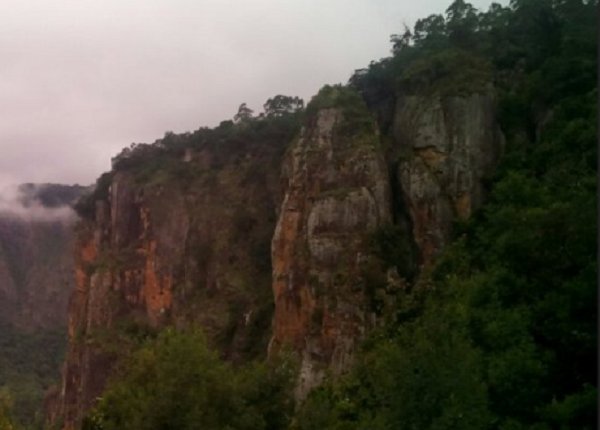 Pillar Rocks in Kodaikanal is one of the best natural wonders of India, and it is a must visit place in Kodaikanal. I made a visit to this place in last year, and It was very foggy when I visited.